In September 2011, 24 young professionals from Germany and Israel joint greenXchange, the new young leadership program of the KKL-JNF. During the one week seminar, the young environmental professionals from Germany and Israel gained an insight into environmental issues and ecological challenges in Israel. The program greenxchange represents innovative cooperation, dialogue and exchange in the environmental field between Germany and Israel. Sustainable development, nature conservation, environmental education, transport, recycling and the maintenance of open spaces and cultural highlights in Israel were the main issues to be addressed during the seminar. The environmental situation in Israel is especially characterised by the scarcity of water. Regarding the issue of water scarcity environmental education, is fundamental. 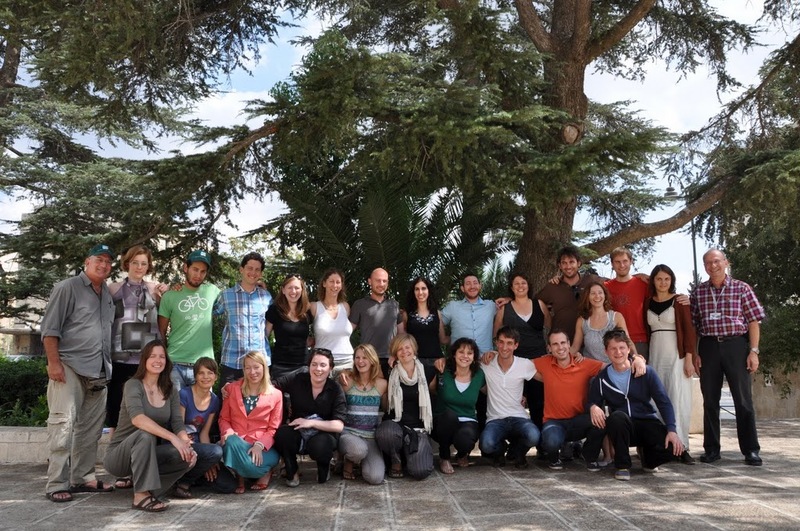 The seminar participants joint the environmental education program in Kibbutz Nizzana, supported by the KKL. There, they experienced how far waste of fresh water can be limited by considering the personal habits and the private use. The participants further saw how freshwater resources can be obtained when they visited the biofilter projects in Kfar Saba. Following precipitation events water will be transferred to collecting tanks. Biofilters clean the water and transfer it to the groundwater. The need for energy is minor. All seminar participants appreciated the ecological sustainability of the biofilter system as well as the integration of the biofilter system in the urban city planning in Kfar Saba. Water desalination provides another option to address the need of water resources in Israel. By using a reverse osmosis, freshwater will be gained from seawater. Desalinated water is widely used for the irrigation of cultivated crops. However the process of desalination needs high amounts of energy and its environmental sustainability was questioned by the German and Israeli seminar participants. Water resources in Israel are essential to maintain the agricultural productivity in the Negev desert. The Arava institute is leading in the agricultural research and production in drylands. Research topics presented to the seminar participants included cultivation techniques that enable high productivity under decreasing amounts of precipitation and increasing variability of precipitation events. The participants were impressed by the fact that nearly 60% of the agricultural production is originated from the Negev, where the annual precipitation is often lower than 200mm. Visiting the Yatir Forest planted by the KKL in the Negev desert, the participants realized that also the natural vegetation suffers from the climate change that comes along with less but more intensive rainfall events. As a consequence, soil erosion is in progress. Afforestation helps to control the overland flow and to limit the progress of soil erosion. But afforestation in an area which suffers from less 280mm of precipitation is a challenge, said Itzik Moshe – Deputy Manager of KKL – who is responsible for the south of Israel. Especially serious droughts in recent years have damaged the forest. Now they are going to reduce the tree density in order to limit the competition for water resources. Due to support by JNF-KKL Germany, the Yatir Forest is being supplemented by a water reservoir that controls overland flow and stores water resources. Additionally the cooperation with Bedouins is essential to protect the forest. Grazing by sheep and goats is essential to prevent forest fires, said the manager of the Yatir Forest. Grazing reduces an accumulation of dry understory biomass that might enlighten the trees. By means of cooperation with the local Bedouins the former degraded soil was regenerated. Students from Israel, the Palestinian Territories and Jordan talked about their studies on the threshold between traditional Bedouin life, settlements, afforestation and the protection of the natural vegetation in the Negev desert. Regarding afforestation, a critical issue is provided by the fact that pine trees in the Negev do not regenerate themselves. Research about other tree species and tree density is in progress to prevent soil erosion and maintain resources in the area of the Yatir Forest. The environmental education programm in Kibbutz Lotan provided a further part of the seminar program. Young people get a chance to volunteer in the construction of low energy houses. Living in these houses, reduces the amount of energy up to 70%. The seminar participants additionally tested the functioning of solar ovens. 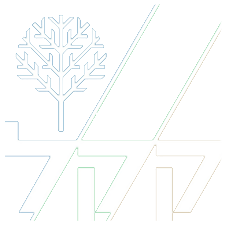 The KKL has supported the ecological community of Kibbutz Lotan since their foundation. Projects under supervision of Kibbutz Lotan are bird conservation areas, waste water treatment and recycling, solar technologies, an environmental education center and ecotourism projects. All participants enjoyed the hospitality of Kibbutz Lotan. Even the participants from Israel were quite impressed due to the large number of environmental projects supported by KKL in Israel. For the Germans it was an interesting experience to have their perspective about Israel changed during the seminar. For many people in Germany, Israel is mainly a place of political conflict. Also most tourists only get insights into historical and religious subjects. Getting in touch with the Israeli environment was a unique experience. All greenXchange participants are now very much looking forward to the follow-up seminar in Germany in August 2012. On September 25, the Israeli-German greenXchange mission concluded its week-long ecological tour of Israel at the KKL-JNF offices in Jerusalem. The group met with senior KKL-JNF officers and discussed future directions in environmental issues. The group was comprised of ten German and ten Israeli professionals from a variety of environmental fields. The mission spent a week touring KKL-JNF ecological projects taking place in Israel’s southern and central regions. The meeting was opened by Avi Dickstein, KKL-JNF Executive Director of Resources and Development. Dr. Omri Boneh, director of KKL-JNF’s Northern Region, spoke about KKL-JNF’s mission in the past and compared it with the organization’s current mission: “In the beginning, one of our goals was to green the landscape,” he said. “Today, our focus is more on ecological restoration, including the prevention of desertification, fighting global warming, increasing biodiversity through water harvesting, and much more. “In terms of forest ecology, we began with the classical approach, which favors a dense plantation policy, and that meant planting conifers. Today, we encourage natural processes and try to create an environment in which natural species can develop. This is a more difficult task, because indigenous species grow slowly and can be damaged by grazing and other factors. Annual precipitation is below average due to global warming, so we need to reduce tree density, in order to grow healthier and stronger trees that can resist droughts. “We are also very involved in restoring Israel’s streams and rivers, many of which dried up because the water was channeled to pipes for residential use. KKL-JNF and the Ministry of the Environment decided to rehabilitate the streams, and we have achieved excellent results at places like the Yarkon River, which you visited. 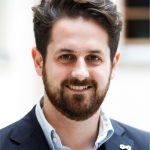 Mr. Grisha Airol-Arioser, director of the German-Israeli Business Association, described the business ties between Israel and Germany: “In terms of economics, Germany is Israel’s third strongest trading partner in goods and services. I believe that there is a lot of room for cooperation in the field of energy efficiency, in terms of developing more efficient vehicles, buildings, finding ways to use less electricity, and so on. It also has to do with materials, technology and education. KKL-JNF does a lot in these areas. The greenXchange mission was made possible thanks to the generous support of ISTRATradeLinkLtd. Dr. Chorev presented a certificate of appreciation to company representative Mr. Guido Guth. The meeting concluded with presentations by both Israeli and German participants on the group’s future plans. The group plan to stay in touch through biweekly Skype video conference calls and an internet forum. The group aims to develop a central project, and they will work to empower German and Israeli environmental experts, and promote joint study and information exchange. Another goal is the facilitation and implementation of business initiatives, cutting edge research, and hands-on projects. A follow-up seminar will be held in Germany in about a year’s time, and a framework will be created for annual seminars and attracting new members.